Our client, age 45, led two police cars on a high-speed chase through Hermosa Beach before pulling over. The client had left work in the Hollywood area and was making his way home toward Redondo Beach. While at work, working late, he and his co-workers had enjoyed pizza and beer. Our client was driving southbound on Aviation Boulevard when police spotted him. The client was listening to music and traveling, he thought, at the speed limit. Police disagreed and tried to stop him. The client was certain that he was not speeding at all, so he continued driving for about a mile before pulling over. This greatly upset the police, who expected the client to pull over immediately once they turned on their flashing lights. Once our client pulled over, police told him that they had paced him at 70 miles per hour in a 35 mile per hour zone, which the client responded to by saying they were absolutely wrong. Police were abusive to him and made him perform field sobriety tests on a sloped surface that unfairly affected his balance during several tests. Our client was on medication that caused his eyes to be red and watery, but police attributed the condition of his eyes only to alcohol. Our client, who had been convicted of DUI in the Airport Courthouse six years earlier, cursed at police. An hour after the arrest, he gave a breath sample that read 0.13%. Our client first hired another attorney, who negotiated as best he could, but could reach no deal better than 1) six months in jail or 2) 96 hours in jail, a $500 fine plus penalties and assessments, the eighteen month DUI program (called SB38), the Mothers Against Drunk Driving (MADD) Victim Impact Panel (VIP) and five years of informal, or summary, probation. Without All the Details, What Happened? : Hermosa Beach arrest after evading arrest, second-time DUI, BAC of 0.13%, minimum term plea bargain. The client was not charged with a speed enhancement under Vehicle Code § 23582 for traveling more than 20 miles per hour above the posted speed limit while DUI on city streets. Had the Hermosa Beach City Prosecutor alleged this, the minimum punishment is an extra 60 days in county jail. 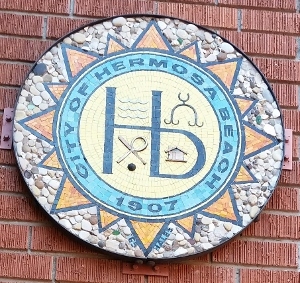 It merits mention that there no longer is a Hermosa Beach City Prosecutor. Now all misdemeanor DUI matters in Hermosa Beach are prosecuted by the office of the Redondo Beach City Prosecutor. Exasperated, our client replaced his prior attorney with Greg Hill & Associates. Greg Hill drove to the scene of the arrest and photographed the sloped area where the field sobriety tests were administered. He also researched the medicine’s side effects and found some of the side effects mimicked those of alcohol intake. Lastly, Greg Hill & Associates researched the winds on the night in question and discovered there were gusts recorded to 22 miles per hour at the time the field sobriety tests were being administered, something that certainly could affect one’s balance. Using the photographs, his research concerning the side effects of the client’s medicine, his information on the wind history, as well as his familiarity with the Hermosa Beach City Prosecutor’s office, Greg Hill negotiated a deal to the minimums allowed for a second-time DUI – a 96 hour county jail sentence, a $390 fine plus penalties and assessments, three years of informal, or summary, probation and an 18 month alcohol awareness program (the SB38 program). The Hermosa Beach City Prosecutor also dropped the MADD VIP requirement from the plea bargain. Greg Hill then helped the client, who had an occupation taking him out of state quite frequently, to take part in an accelerated 18-month program so that he could regain his driving privileges more quickly. Greg Hill also helped the client find facilities out of state which would satisfy Los Angeles County’s SB-38 program curriculum (the curriculum varies slightly by county) so that our client could both travel for work and complete the program while out of state. What Punishment Do I Face for a Second-Time DUI?